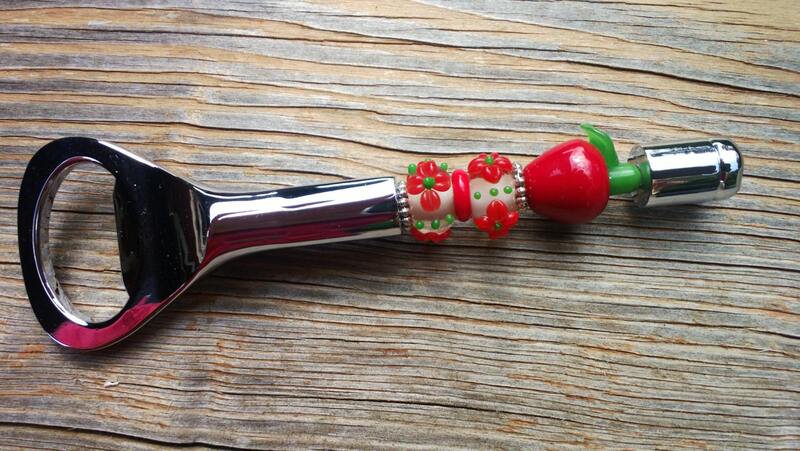 Perfect for that kitchen decorated with apple accents, or of course your favorite teacher! 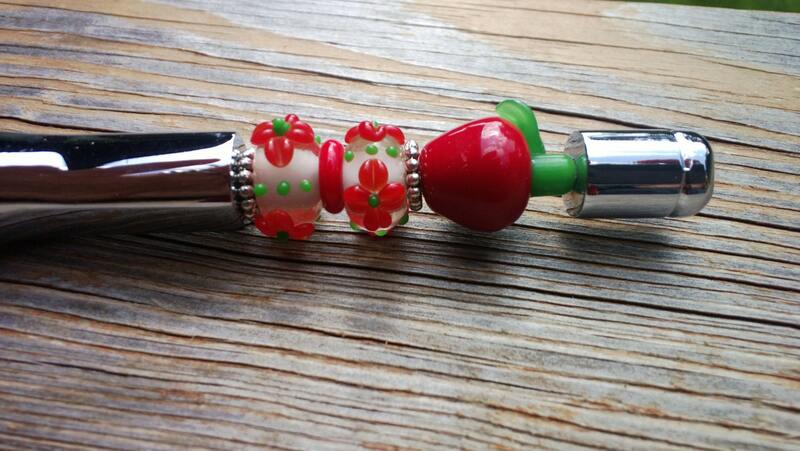 This wonderful bottle opener is designed with lampworked glass flower and apple beads. A gift that is certain to be used over and over again! TGIF!!! This Apple Bottle Opener measures 5 inches in length. 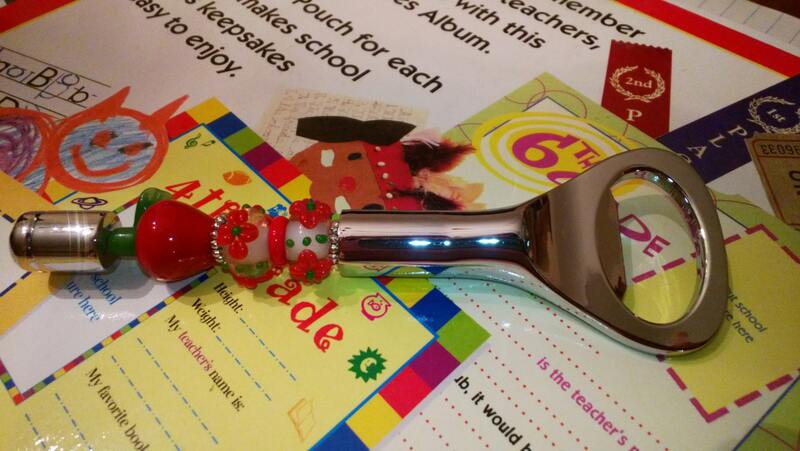 I also sell teacher wine stoppers, come take a look!